Utility Vehicle (UV) manufacturer Tata Motors plans to put up a stronger fight than before with its arch rival Mahindra & Mahindra (M&M). Currently the company is placed at second position, down from M&M, which is the leading producer of UVs in India. The first move in this direction is the introduction of a stripped down version of its crossover, Aria, at a price of Rs. 9.95 lakhs. During the 3rd International Bus and Utility Show at Greater Noida, Ashesh Dhar, Tata Motors Head, UV Product Group (passenger car business unit) said, “We definitely have lost a bit of ground but we will get back with new products. There are lots of projects in the pipeline and we want to be a significant player in the UV segment.” He refused to divulge any details on the new vehicles, apart from the stripped down Aria, which has been first launched in South Indian markets. Tata Motors to launch new products in UV segment. Currently, Tata Motors sells 5,000 UVs per month, which is way lower than the average figures for M&M (25,000 units). Ashesh said that from April to January of the current fiscal, UV sales for the company grew by 10 per cent to stand at 38,000 units. 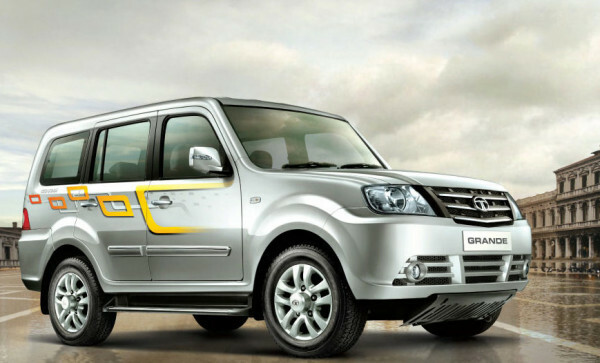 Tata Motors wishes to focus its energy on the sub-Rs. 12 lakh segment, which has major vehicles from the UV segment. This includes established players such as Maruti Ertiga, Mahindra Xylo, Mahindra Bolero and Renault Duster, among others. So as a result of the competition, one feels that the customer will be the winner with so many different UV models to choose from.